We started the sit-in at 9am with 40 people. 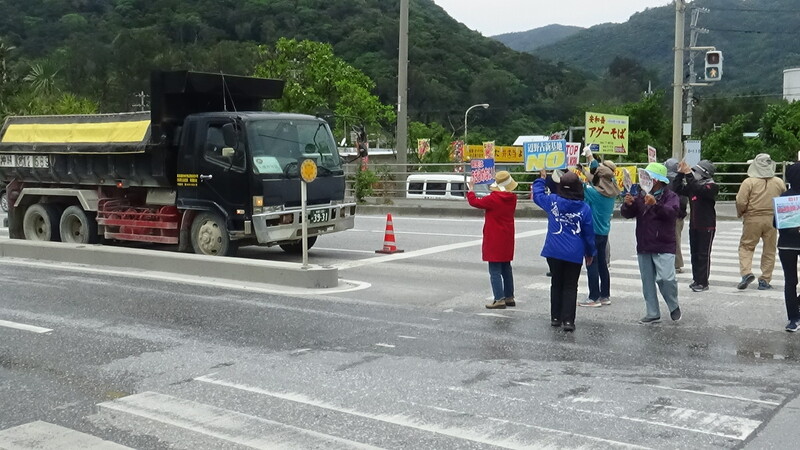 It was raining when, just after 9am, for the first time in 3 months, 10-ton dump trucks and cement mixer trucks entered the construction site. Vehicles entered on three occasions during the day and more than 100 dump trucks, and 9 concrete mixer trucks, drove through in total. 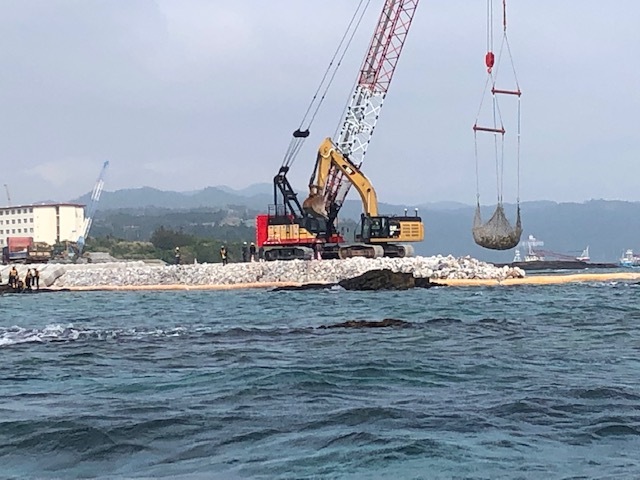 We think that they were carrying materials needed for the construction work, although we do not think it was gravel intended to be used for filling in the bay. A group of medical personnel visited from Tokyo. 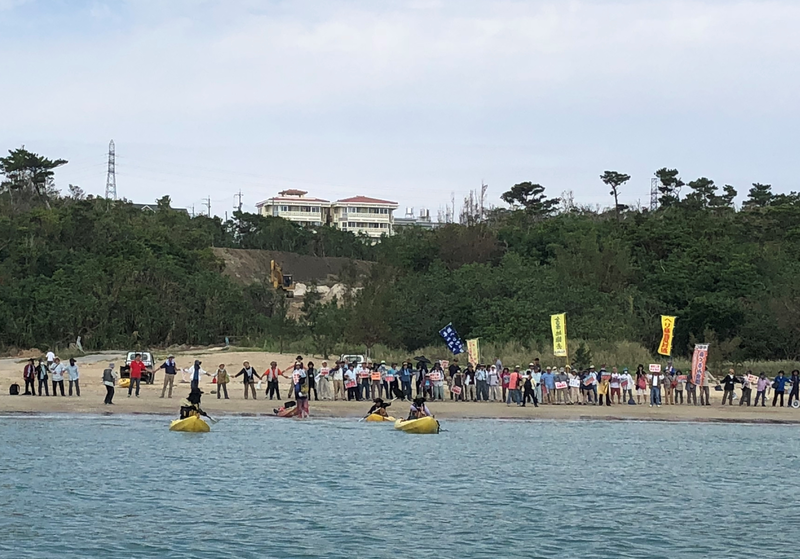 The highest number of people participating today was approximately 100. 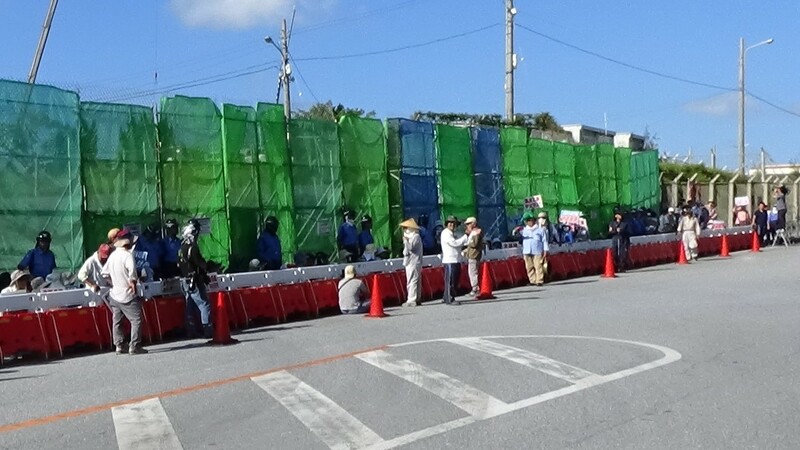 Just before the dump trucks went inside, the green fence that is normally closed, was opened. Sit-in participants were restrained on the pavement by the riot police.